A woman who fled a traffic stop in Barrio Logan Thursday led officers on a brief road chase before pulling over on the Coronado Bridge and getting arrested, authorities reported. The pursuit began shortly after 10 a.m., when the motorist ran a stop sign at National Avenue and Cesar E. Chavez Parkway, near Chicano Park, according to San Diego Police. 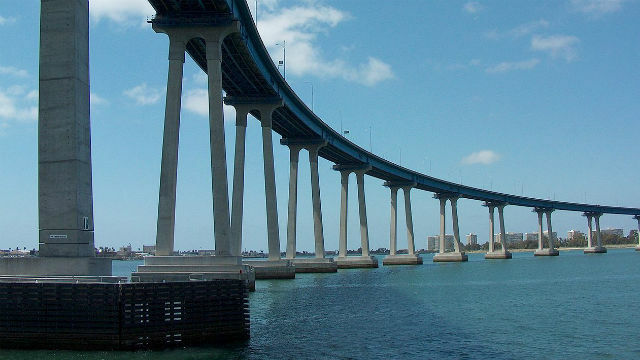 The woman, whose identity was not immediately available, fled over city streets briefly, then drove onto the landmark bridge over San Diego Harbor. Moments later, she pulled to a stop and surrendered peacefully, Officer Tony Martinez said.